So, I figured out a way that I can try all of these new things and get away with it. You know, basically not looking like I have the attention span of a squirrel. I love being able to learn new things without having to pay an arm and a leg for them. Which is why I’ve been baking, and cooking recently. Well, that’s not entirely true. I’ve beed doing all of that stuff to eliminate the amount of food we have to transport to the new house. I kind of don’t want to be responsible for packing up groceries JUST to unpack them later on. Anyway, last year around this time, I decided to try my hand at crocheting, and didn’t finish it until THIS year in January. Whatever. 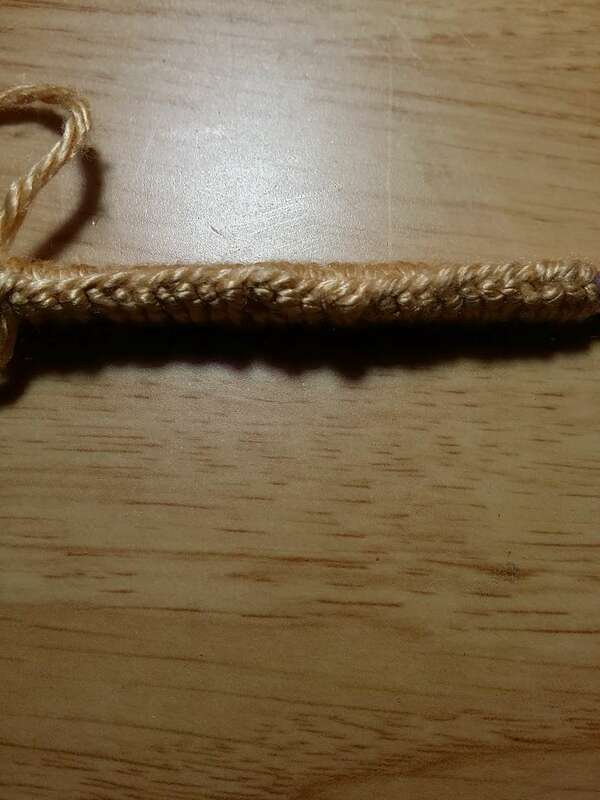 With the news that Benedict Cumberbatch is getting married, I decided to try my hand at another needle craft.Knitting. Yes. I’m now a triple threat. I can sew really well, almost crochet and almost knit. The great thing is, there are so many places to help with beginning knitters. I know that I am a visual learner, and NEED to see moving video. This is what provided it partially for me. 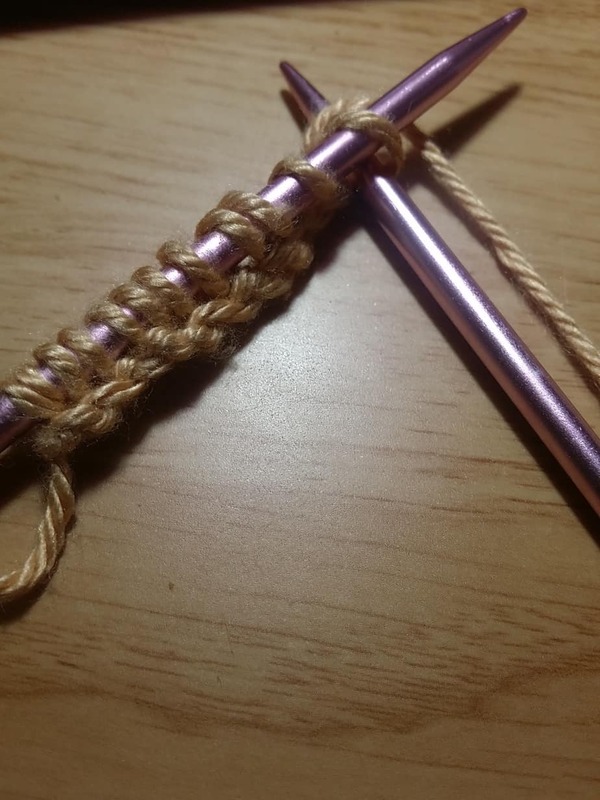 Once again, I’m learning all sorts of things about stitches and tension and how to look cool and make my knitting needles look the same way that they do on cartoons. 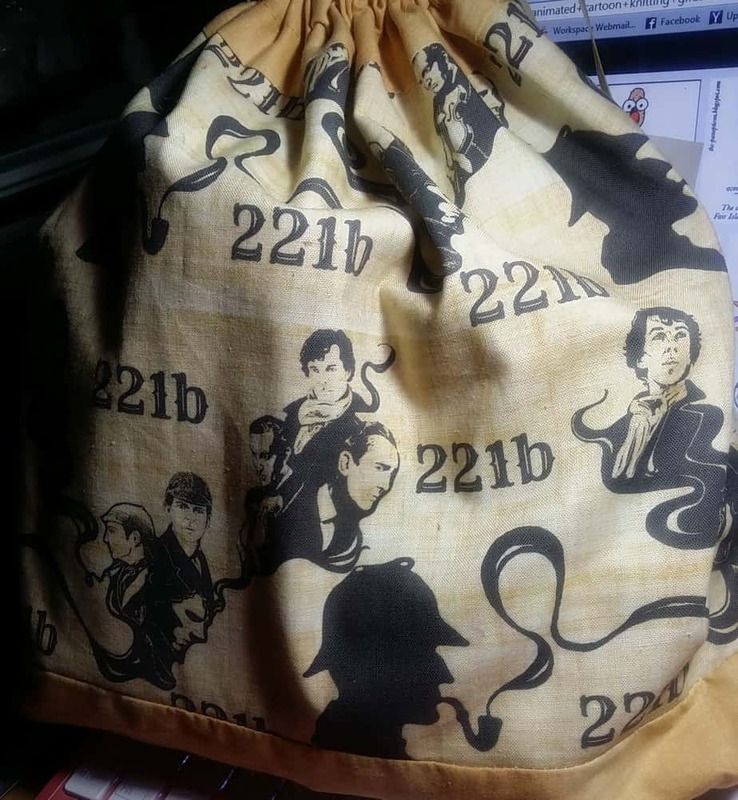 I even have a whole project bag (made by someone that had a booth at the Vogue Knitting Live show last month – more about that later) that I am never going to be without because it has 221B Baker Street eblazoned on it guys WITH clipart of Cumberbatch! Now. If I’m telling the truth though, I got the project bag before ol’ Benny announced his engagement, so I don’t think that I can blame him for that. Honestly, I find the technique awesome, and not nearly as difficult as I made it seem in my mind. It probably also helps that when someone (known or otherwise) tells me that something is too difficult to learn without going to school for it, I’m definitely going to be the person proving them wrong. Hey. I helped build a house. I can do anything. So, what shall I make? I’m thinking a scarf. 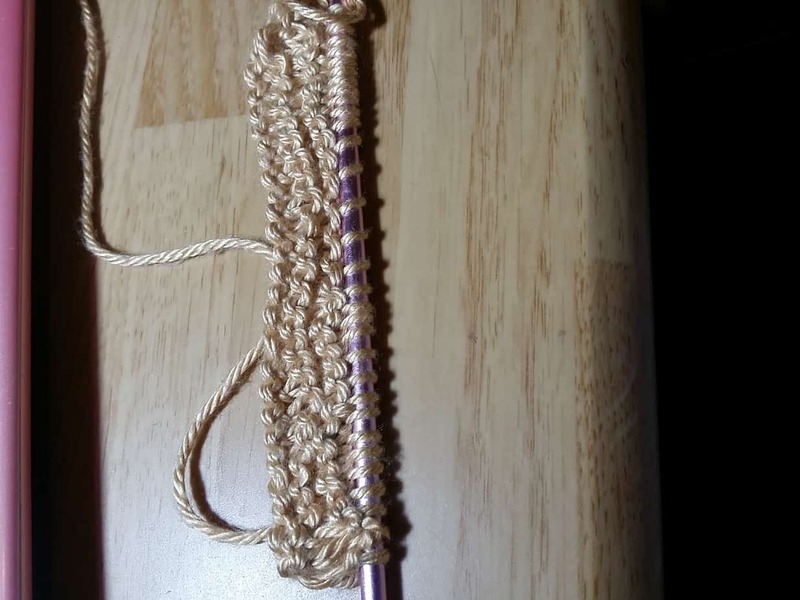 You can never go wrong with a scarf the first time you make something. Ever. Let’s move forward. Please share what’s on your machine, or on your needles or hooks – heck, if you’re making clothes with hot glue, share that too! I love that you’re learning a new skill. Knitting is something I may take up one day. But first I want to make all the fabric in my sewing stash – like that will ever happen. And I can’t blame you for not wanting to move groceries. I hate putting them up the 1st time. I wish I could add something here but, alas, I am a knitting drop out. Two of my friends taught me and I had great intentions, but it turns out that if I have a spare moment I’d rather read than knit.